This past week saw momentous events unfold (especially across Europe) as the focus shifted away from the unsettling potential crisis in the Korean Peninsula. French voters went to the polls for their first of two rounds in the Presidential Election that will be concluded when voters choose their ultimate candidate from the surviving two finalists come May 7th. Though Nationalist Front candidate Marine Le Pen came in second to independent centrist Emmanuel Macron, she only trailed him by three small percentage points. Several computer-driven models and analysts are predicting another populist upset with a Le Pen victory despite the media consensus and obvious backing of Macron. Meanwhile, across the English Channel British Prime Minister Theresa May shocked her country and the world by calling a surprise national snap election for June 8th. This is a three year ahead of scheduled vote. Analysts and polls are predicting May will crush her opponents and become the overwhelmingly dominant figure in British politics and the already-underway Brexit negotiations for the foreseeable future. In the now quieter standoff crisis in Asia between the U.S. and North Korea, the spotlight turned to American Vice President Mike Pence. He began a 10 day whistle stop tour through the region to shore up support for resolving the dilemma of the North Koreans and their ongoing nuclear weapons' ambitions and missile programs. All the while Pence was discussing complicated trade issues especially with Japan in the wake of the U.S. cancelling the Trans- Pacific Partnership that the Obama administration had pushed through. The weeks ahead promise to be exciting ones with all of the geopolitical hot potatoes in the world these days. Do not let anyone talk you out of your IRA-approved gold portfolio holdings. Gold IRA allocation strategies will be your best defense against geopolitical and financial market crises around the world. This past weekend saw another terrorist attack in France just before the French public went to the polls to begin the selection process of their all-important executive president of the republic on April 23rd. Analysts who had been concerned about the latest killing of a police officer by the ISIS supporters and sympathizers were correct in their fears. Far right leader Marine Le Pen beat out all of the traditional party candidates to clench the second slot for the upcoming runoff vote on May 7th. It is now centrist Emmanuel Macron versus far right Marine Le Pen in a presidential battle to determine the future of not only France, but also the entire European Union. While the media and many analysts' consensus is that Le Pen's chances of winning the presidency hinge on large sections of the French electorate boycotting the election, this is an enormous risk that should not be overlooked (even though markets and the media are not taking it seriously). Though the polls consistently show Macron beating Le Pen by 20 percentage points, millions of votes are still up in the air. Out of 37 million voters from the first round of the election, slightly less than half voted for either Le Pen or Macron. Around 21 million French citizens cast their ballots either for a competing candidate or as a no-vote defaced ballot in protest. Around 10.6 million abstained. Part of the reason that the French electorate are in such an angry and unpredictable mood centers on a host of social problems and pressing issues facing the winner of the upcoming contest. Employment is high, broadly based, and deep-seated. Immigration is changing the face of the traditional French nation, culture, and cherished way of life. Terrorism has proven to be impossible to stop despite the fact that France has been under various states of emergency for months at a time with police and soldiers everywhere. Asset allocation consulting firm GaveKal Research Head and Founder Charles Gave of Hong Kong correctly predicted Donald Trump would win in the American November Presidential election (in which he had a less than 10 percent chance of succeeding), and Gave is similarly convinced Marine Le Pen will win on May 7th in France. Gave warns that the “stars are aligning” for the National Front candidate Le Pen. The voters who will determine the results are those which have not made up their minds, the undecided up to 40 percent. While the media is attempting to portray a Macron victory as inevitable, this is an unprecedented statitstic at this late stage in a French presidential election and a “bad omen” for centrist contender Macron. Le Pen's very real potential victory would crush the European stock markets and the European currency as investors would be forced to re-price the serious possibility that her victory threatens to blow up the EU in the wake of her promise to withdraw from the Euro currency and hold a referendum on continued European Union membership ala the U.K.'s Brexit. Gave warned in the event of her victory that Italian and French bonds would become “unquotable” with no bids left in the markets and the entire continental European banking system would suffer from “seismic turmoil.” It helps to explain why gold still glitters for many world leaders. In the past several weeks, the rival Labour Party leader Jeremy Corbyn has demonstrated a shocking weakness in the YouGov Plc poll which showed as recently as April 12-13 that May's Conservative party commands an astonishing 21 percentage point lead against Labour. The polls show the Prime Minister could take even 400 seats, which would give her a stunning lead of a 150 member majority in the House of Parliament. When the map is broken out according to constituencies, 421 out of 574 districts from England and Wales voted for a “leave” Brexit result. This means the British electoral map heavily favors the “Brexiteers” which Theresa May now leads, though she was not in their camp at all during the Brexit referendum campaign. Last week also saw the relatively quiet shift from the escalating North Korean peninsular crisis story to that of American Vice President Mike Pence's 10 day Asian tour that kicked off with meetings in Seoul, South Korea and Tokyo, Japan. The goal was to reassure the allies after comments that President Donald Trump made during the campaign. At the South Korean and Japanese meetings, both the North Korean crisis and trade issues were the center of talks with the acting President Hwang Kyo-ahn, as well as with Prime Minister Shinzo Abe and Deputy Prime Minister Taro Aso of Japan. Japan and the United States have gone their separate ways on global trade policies and outlooks. Since the United States killed the Trans-Pacific Partnership Asian free trade deal, the new administration is attempting to offer a bilateral free trade agreement to Japan instead. 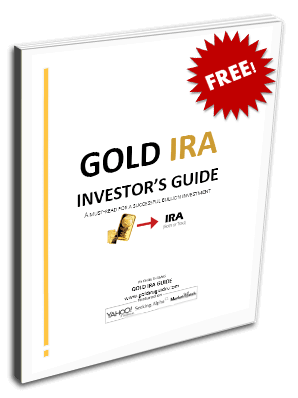 However the future of global trade and old order-upending elections across Europe turn out, gold makes sense in an IRA. You can count on the yellow metal to protect you from geopolitical chaos and financial market instability. Remember that gold outperforms traditional asset classes during market crisis periods.